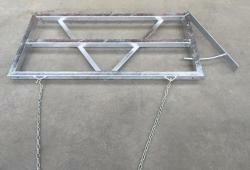 Tractor Mounted Log Splitters, Mounted Chain Harrows & other Machinery. We manufacture and sell a carefully chosen range of agricultural equipment suitable for use on farms, in woodland management, landscaping, on golf courses or for any other application you may have. This selection includes Tractor Mounted Log splitters, Trailer Mounted Engine Driven Log Splitters, Chain Harrows, Mounted Chain Harrows, Flail Mowers, Finishing Mowers, Rotovators, Wood Chippers, Logging Saw Benches, Pallet Forklifts, Auto Tractor Hitches, Bale Spikes. You’ll find all the equipment you need in one place. 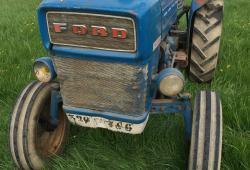 Our products consist of high quality plant and machinery most sought by farmers and other rural workers. 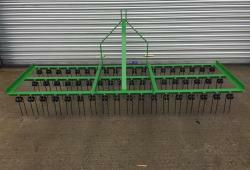 Looking for ‘trailed’ chain harrows aka grass harrows and mounted chain harrows? We’ve got them both. Forklifts and bale spikes cater for any lifting requirements while our tractor mounted log splitters come in a variety of weights for light or heavy duty use. 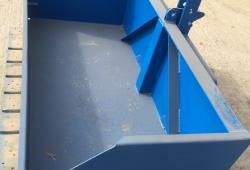 Grass toppers are equally great for use on arable land and playing fields, golf courses or large lawns. Take a look at the whole catalogue online. Each product page has details of the equipment spec, photos, compatibility details, special usage information and delivery information. If you have any further questions about any item or simply want to speak to someone about your order don’t hesitate to contact us. Why buy from KTM Machinery? We only stock the best quality UK made equipment. These great products are made available to you at value for money prices. The other great thing you’ll notice about KTM Machinery is our highly knowledgeable customer service team. 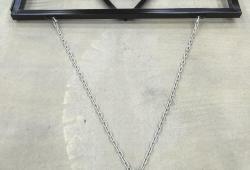 We make sure that when you have a question about mounted chain harrows our representatives have the answer. Enjoy delivery to the whole of the UK and handy shipping to Ireland, France, Belgium and Germany with worldwide delivery available upon request. We accept all major credit cards on phone orders and secure payments through PayPal.